We are so excited this week to learn about dinosaurs!! Both boys were dinosaurs for Halloween and they absolutely love these creatures. Since Troy has a lot of questions about dinos, I thought we’d take this week to do some activities about them and also learn some new things along the way! 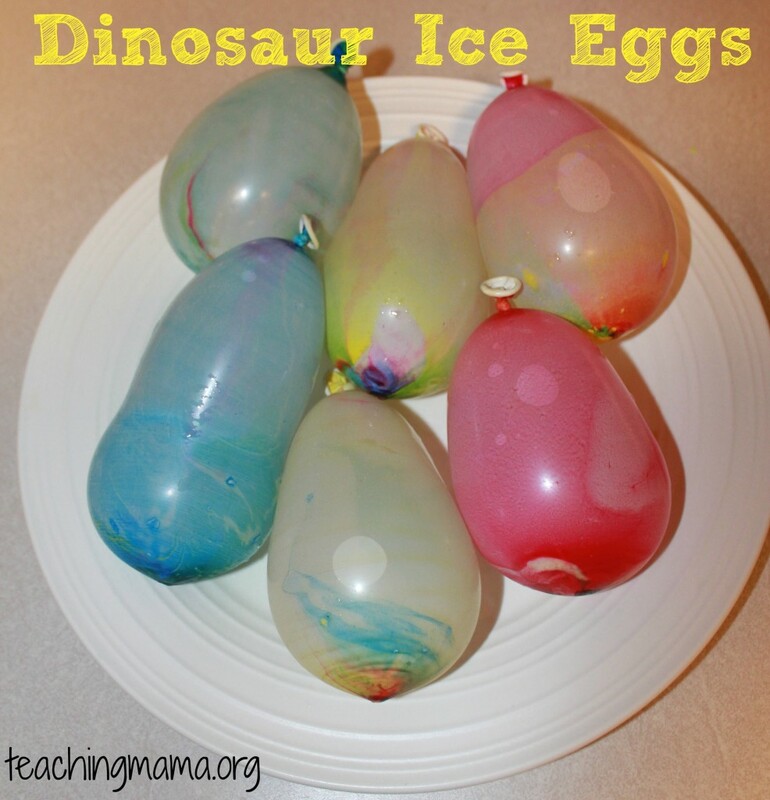 Today I’m sharing a really fun and easy sensory activity–Dino Ice Eggs. 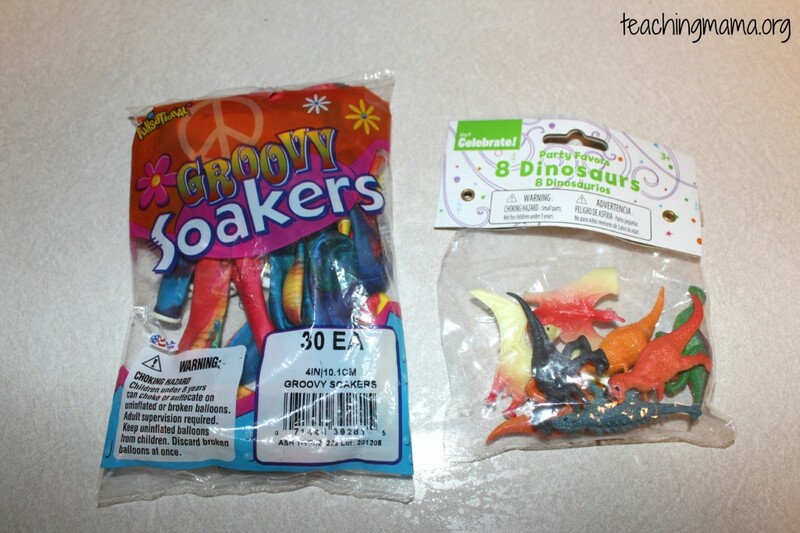 Take a dinosaur (not ones with wings) and stick them inside the water balloon. 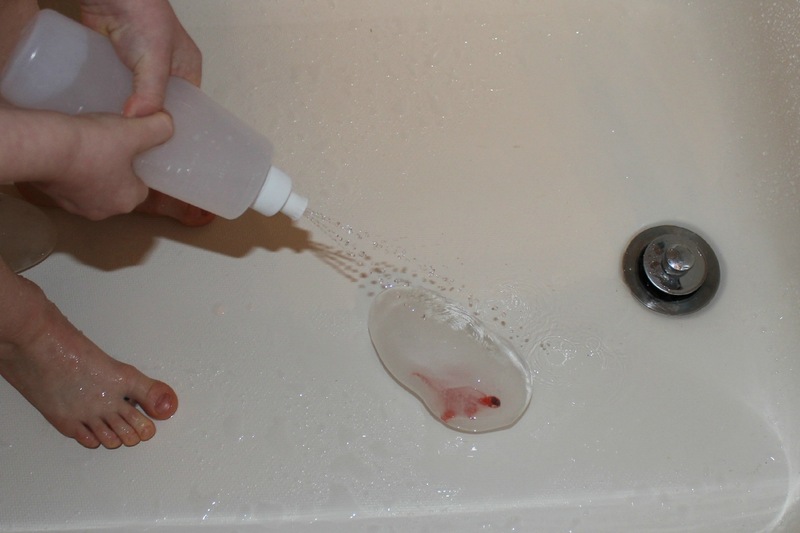 The best way I found to do this was to use my fingers to stretch the water balloon out and then stick the dino in so it touched the bottom of the balloon. The water balloons I bought must’ve been strong because none of them broke when I put the dinos in. Then fill the balloon with water and tie shut. Put the balloons in the freezer overnight. When you are ready for the activity, cut the top off and tear off the balloon. If your child is old enough, they can help. Here’s what they look like! Before beginning the activity, I asked my oldest what he knows about dinosaurs. Then we talked about how baby dinosaurs came from an egg. 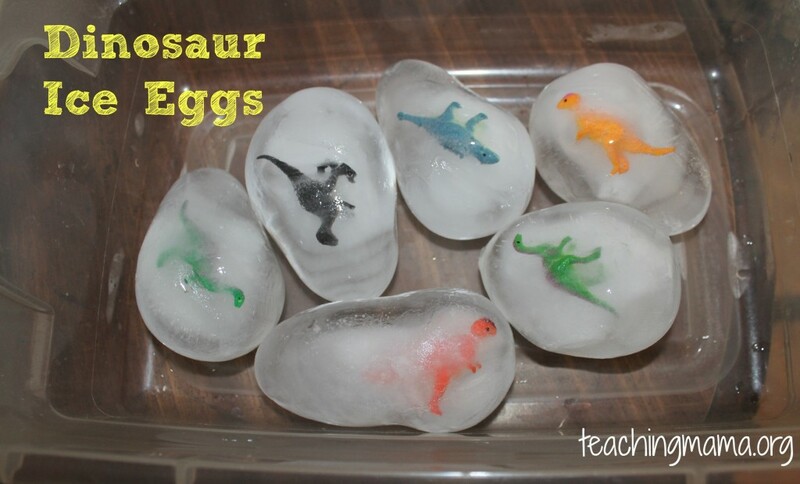 We looked at the ice eggs and discussed ways to get the baby dinos out. 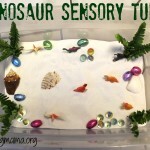 He came up with the idea to pour warm water on them, like we did in this sensory ice activity. 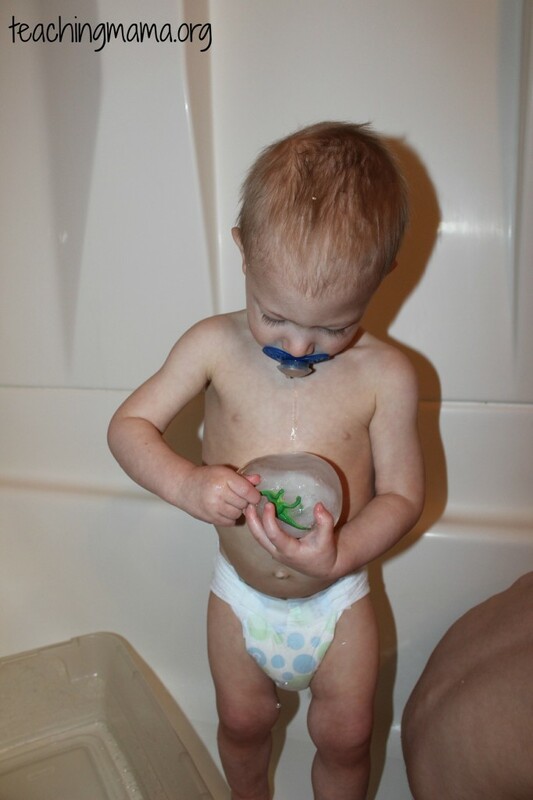 So we went up to the tub and started testing his hypothesis out. 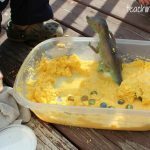 They loved touching the eggs. Although they were cold, it was fun because they would slip and slide around. I loved that this activity allowed them to discover ways to melt ice. They acted like scientists by making a hypothesis and then testing it out. 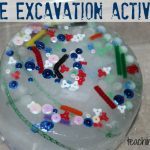 This activity is also great for teaching kiddos that water and ice are the same substance. 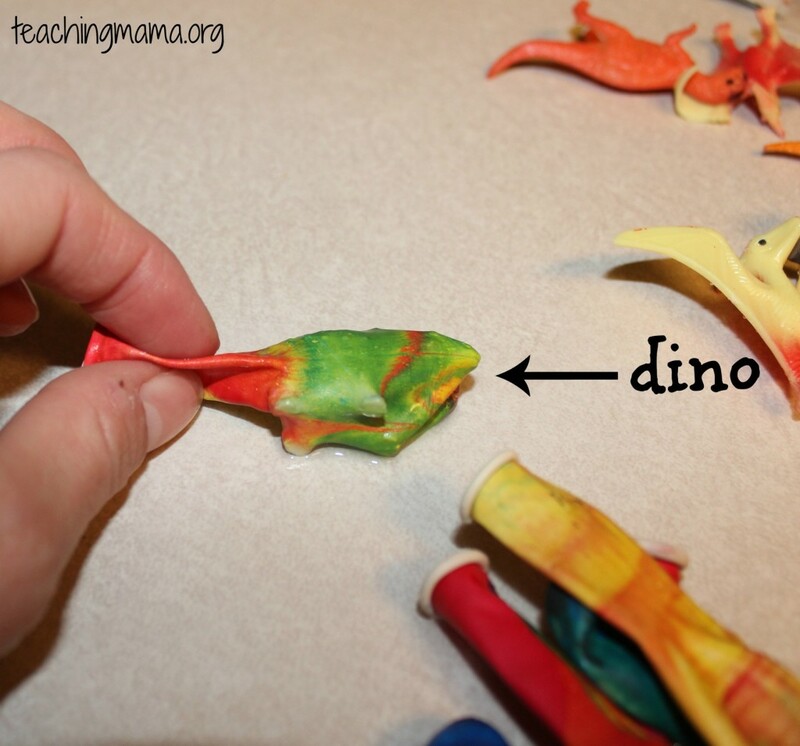 Stay tuned for more dinosaur activities this week! Stopping by via LivingMontessoriNow. This is so cool! (Pun totally intended). 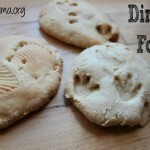 This would be a great outdoor activity for the summer! Too funny! 🙂 Yes- it would be wonderful outside!! We will have to try that when it warms up. So glad to hear that! Loved seeing your pics on IG! Oh this is just such a marvelous idea. I hope you’ll consider sharing this at Look What We Did, a month long link up hosted by HammockTracks. I am sure that the readers will enjoy this, too. Thanks! Yes, I will share it on your link up. This is so awesome!! 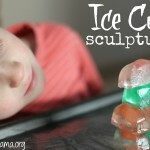 I love how it ties in the science of melting with a fun sensory experience! I’m going to pin it and share it on my PreschooLPowolPackets Facebook page! Yes, it is a really good activity for science. My kids love anything with ice. Thanks for sharing! 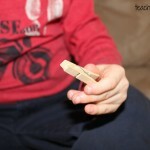 This looks like lots of fun; I bet my youngest would especially enjoy it! Thanks for posting! You’re welcome! Have fun trying it out! Love these eggs! I’m featuring this on The Sunday Showcase tomorrow. Thank you! Yes, I hope you’ll try! Sounds like a great activity! Only thing is, I don’t understand how you cut the top off the egg, since cutting ice is pretty impossible. Or do you mean just cut the top off the balloon? The picture looks like the ice has been cut. Thanks for explaining. I’m sorry I wasn’t clear. Yes, just cut the top of the water balloon off. It should be very easy. Cutting ice would be impossible! HA! Sorry for the confusion and good luck!